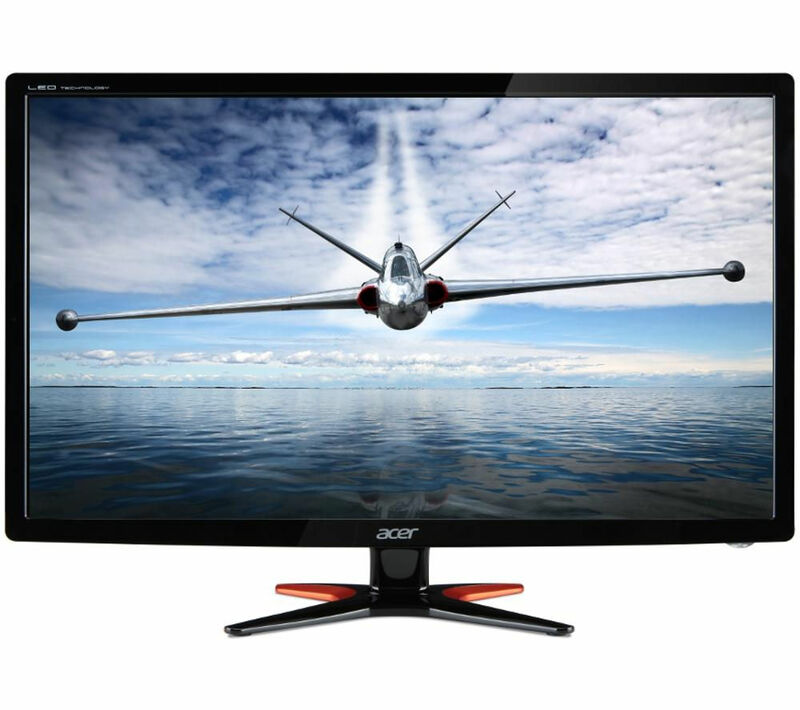 Ideal for entertainment, gaming and learning, the Acer Predator Full HD 24" 3D LED Gaming Monitor boasts fast response rates, impressive contrast and Active 3D technology that takes you into a new dimension. Enjoy only the best images on your PC with the Predator display. In addition to providing Full HD 1080p images that are packed with detail, this monitor delivers stunning 3D using Active 3D technology. 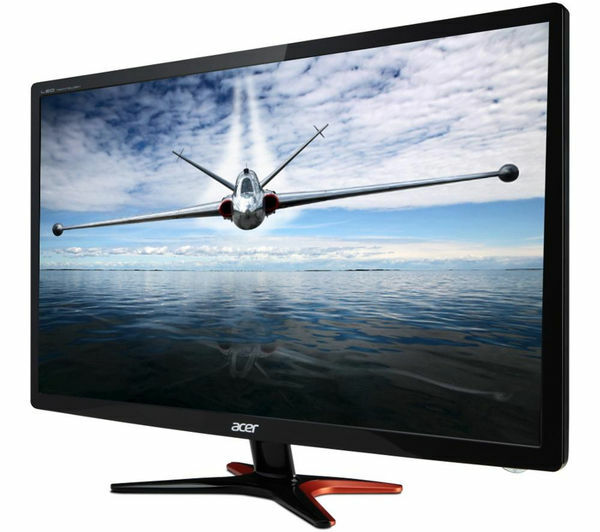 The refresh rate of up to 144 Hz far exceeds the mandatory requirements for Full HD 3D movies, games and other content. You can settle down to your favourite games in 3D thanks to the DVI-DL connectivity, immersing you in the on-screen action. 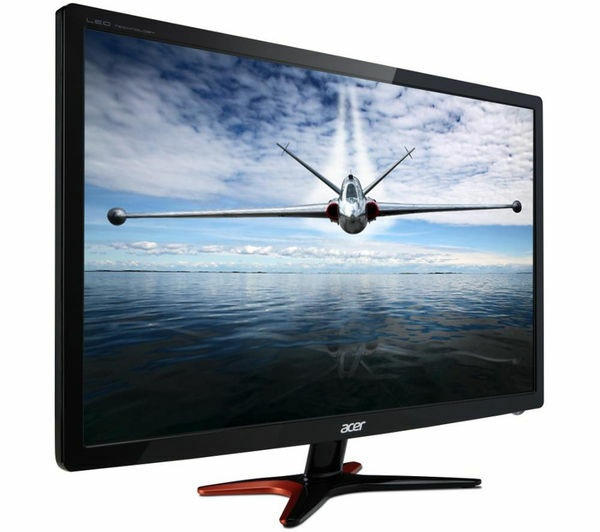 This monitor is compatible with some of the top 3D products. 3D can be used for more than entertainment - get to grips with difficult concepts by using it for education. Educational content providers, including EON Reality, Neotek and Safari Montage, are working on creating 3D learning materials for school curriculums. When you're not using the Predator to enjoy your favourite 3D movies, the kids can use it to brush up on their learning skills. The Predator Gaming Monitor has a fast 144 Hz refresh rate, making it perfect for gamers. It shortens the time it takes for rendered frames to be shown on the screen, which lowers latency and improves the gaming experience. Every explosion and movement will appear natural and fluid. A fast 1 ms response time means that your monitor responds quickly to changes. It also boasts an impressive 100 million:1 contrast ratio thanks to Acer Adaptive Contrast Management (ACM), which keeps images and videos crystal-clear on your screen. This monitor uses a mercury-free white LED backlight, which achieves up to 68% energy efficiency whist providing bright and vivid images. Open up your home entertainment to new possibilities with the Acer Predator Full HD 24" 3D LED Gaming Monitor. The NVIDIA 3D Vision Kit is required to view 3D content. Not supplied. - The NVIDIA 3D Vision Kit is required to view 3D content. Not supplied.